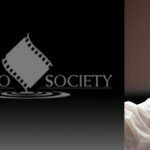 LOS ANGELES—Academy Award® winning director Jonathan Demme will receive the Cinema Audio Society Filmmaker Award at the 49th CAS Awards on February 16, 2012 at the Crystal Ballroom of the Millennium-Biltmore Hotel, Los Angeles. Starting out with Roger Corman in 1971, Jonathan Demme has directed and/or produced over 30 movies among them: Rachel Getting Married, Beloved, Swimming to Cambodia, Melvin and Howard and Crazy Mama.. The Untitled Ibsen Project, based on Andre Gregory and Wallace Shawn’s adaptation of the Ibsen play Master Builder Solness, is now in post-production. The film stars Wallace Shawn, Andre Gregory, Julie Haggerty and Lisa Joyce and was written for the screen by Wallace Shawn with the original stage production created by Andre Gregory. Demme’s portrait documentary Enzo Avitabile Music Life, will premiered this year at the Venice Film Festival. Other new projects in the works include 3 forthcoming New Orleans portrait documentaries along the lines of I’m Carolyn Parker: The Good, The Mad, And The Beautiful. Demme’s most recent release was the third installment of his performance trilogy with Neil Young, Neil Young Journeys. Besides The Silence of the Lambs, Demme and Newman worked together on Demme’s Philadelphia, The Manchurian Candidate, Married to the Mob and Neil Young: Heart of Gold among others. Demme will be the 8th CAS Filmmaker Honoree. Past honorees have been: Quentin Tarantino, Gil Cates, Bill Condon, Paul Mazursky, Henry Selick, Taylor Hackford and Rob Marshall. Newman will be the 31st CAS Career Achievement Award Honoree. Past honorees include Ray Dolby, Robert Altman, Jack Solomon, John Bonner, Bill Varney, Don Rogers, Walter Murch, Jim Webb, Richard Portman, Tomlinson Holman, Mike Minkler, Ed Greene, Dennis Sands, Dennis L. Maitland, Sr., Randy Thom. Jeffrey S. Wexler and Scott Millan. 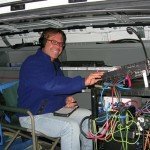 The 49th CAS Awards dinner will also honor Outstanding Achievements in Sound Mixing in six categories: Motion Pictures, Animated Motion Pictures, Television Movies and Mini- Series, Television Series-One Hour, Television Series-Half Hour, Television-Non-Fiction, Variety or Music Series or Specials.